Enjoy an RV Adventure at River Road RV Park & Horsecamp in Chapel Hill, Tennessee! Please be advised our bathhouse is temporarily unavailable due to remodeling. Located in middle Tennessee among trees and close to the Duck river, River Road RV Park & Horsecamp in Chapel Hill, Tennessee welcomes RVers, tent campers, and equestrian enthusiasts alike! 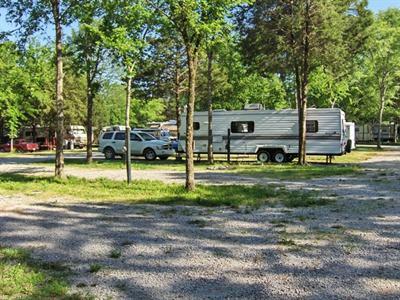 River Road RV Park & Horsecamp is a quiet, year-round family park where guests can enjoy getting away from it all in the beautiful Tennessee wilderness. 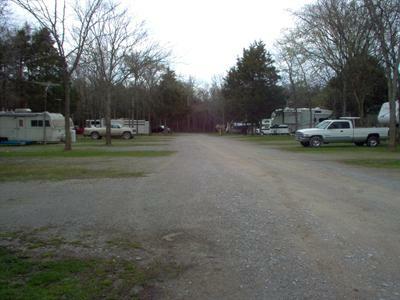 Whether you're visiting the area,passing through, or in need of extended monthlong stays, River Road RV Park & Horsecamp welcomes you to come relax and have fun! River Road RV Park & Horsecamp offers fun activities for the whole family or group! Enjoy the pleasant surroundings as you play a game of horseshoes, badminton, or volleyball. Take a stroll down our trails and rest a while on a park bench! There is a lovely picnic grove where you can enjoy an outdoor meal. If you enjoy traveling with your horses, you'll feel right at home at River Road RV Park & Horsecamp with trails to explore and comfortable accommodations for you and your horses. Once you have a chance to relax and enjoy the RV park, get out and explore the Chapel Hill area. Visitors will find many local activities nearby that will entertain all ages! Chapel Hill is the fastest growing town in Marshall Co., TN! The scenic Duck River is just across the road offering canoeing, rafting, tubing, fishing, wildlife viewing, picnicking, hiking, and more! The scenery along the river is stunning, with majestic oaks, hickory trees, and tulip poplars lining the banks. There are nearly 140 species of fish that dwell in the river, so fishing is excellent year-round. The water flow is adequate on the Duck River, making it ideal for long or short canoe trips for all skill levels. There are several outfitters in the area offering rentals and guide services. Boardering Henry Horton State Park where they offer an olympic swimming pool, tennis courts and a championship 18 hole golf course. There's also a grand buffet available and The Tipped Canoe lounge! River Road RV Park & Horsecamp is in close proximity to some of Tennessee's well-known attractions and historic sites including the Jack Daniels Distillery, the James K. Polk Presidential Home, and the antebellum homes of Oaklawn & Rippavilla. The park is also conveniently located 40 miles from Nashville, 20 miles from Spring Hill, Columbia and Shelbyville. Just 4 miles from downtown Chapel Hill, allowing guests easy access to shopping, dining, entertainment, and other services. All of this and more awaits you at River Road RV Park & Horsecamp. 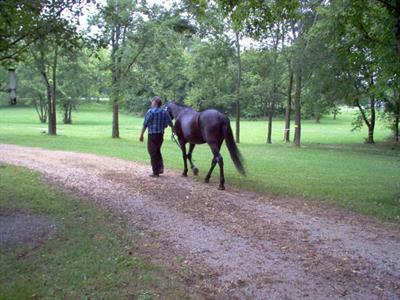 Enjoy our horse corral & riding ring along with friendly management and staff! River Road RV Park & Horsecamp is your ideal home base for exploring the horse trails and attractions of the Chapel Hill and the Middle Tennessee area! Photos are indicative of the area, not necessarily what you will see at the park.